Having experienced somewhat inclement weather for the AOD 60th anniversary in mid-June, the summer picked up dramatically (typically) from the following weekend onwards turning out to be bit of a scorcher. AODs went in differing directions; Whimbrel went west to the Percuil River and had a very pleasant lazy few days sailing in the light, warm Cornish winds. 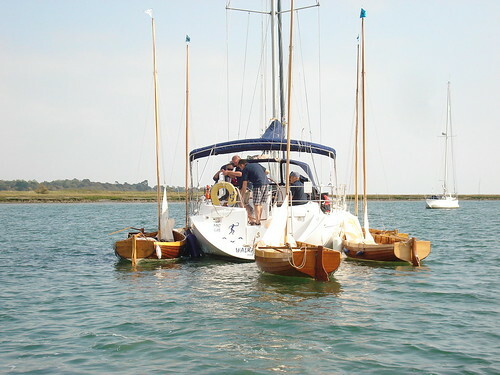 Gemini went east for the Keyhaven Regatta and experienced slightly more boisterous conditions and with generous local hospitality had a thoroughly good time. 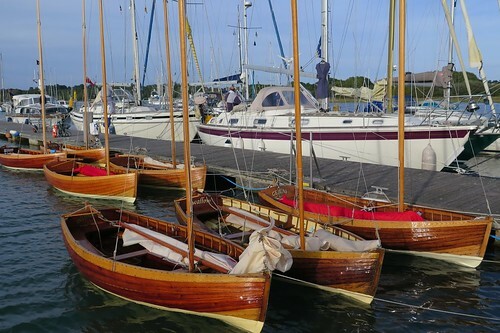 For the first time in many years none of the boats went to Fowey Classics, the combination of other events and work commitments did not allow – hopefully next year. To round off the season a trip to Beaulieu was held in late September, the forecast was not promising, but fortunately the rain came at night and the sun generally obliged during the day. 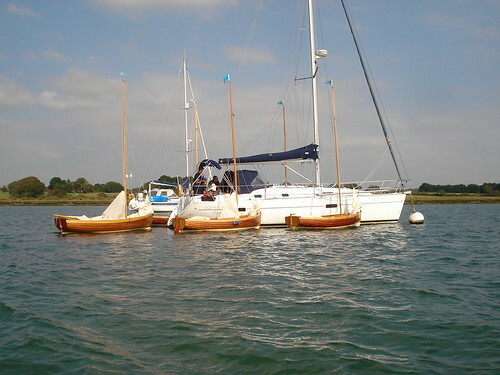 Five AODs met up for a very pleasant sail on the Beaulieu River, Whimbrel, Gemini & Shearwater travelled east from Axmouth to join the locals, Swallow & Gannet. The Royal Southampton Yacht Club kindly allowed the boats to use their facilities at Gins Farm and were made most welcome. The AODs support craft was in attendance and provided an excellent lunch venue – stable and dry! The boats have now gone their separate ways to hibernate in various sheds, barns and garages. Thoughts have now turned to logging and other festive activities, but the new season’s programme has already been finalised – if only one could schedule the weather to go with it… the River Race Dinner will at least brighten one January evening in the new year.